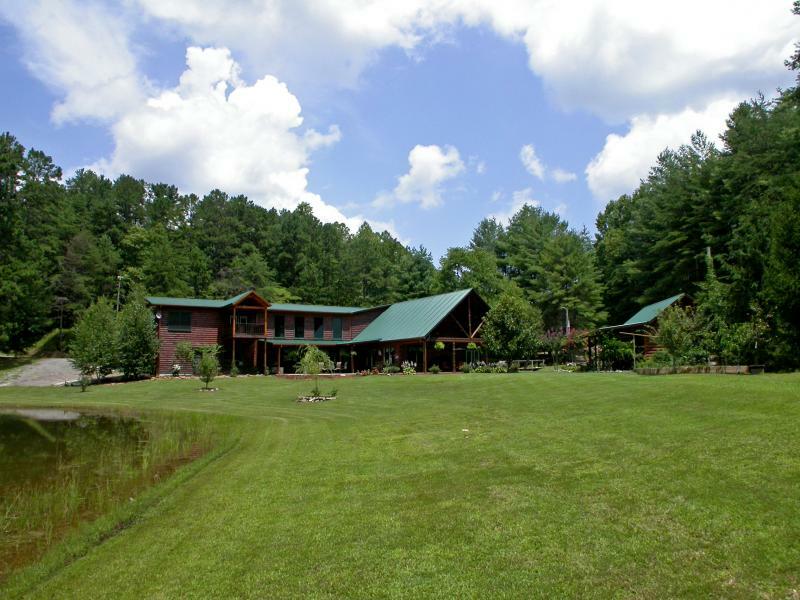 Bring your fishing pole and canoes to this 4 bedroom 4.5 bathroom custom log home on 4+ acres with pond. This home has all the features for entertaining. This would make a great Bed & Breakfast. Enjoy one of the four Jaccuzzi tubs while the kids play in their very on playhouse. Gather the whole family around the beautiful country kitchen for some real memories that will last a lifetime. Take a nap or read a good book on one of the 2 covered porches. This is definitely the one to see. Murphy NC Cabin in the Mtns,2BR/2BA Ranch Style, all wood interior, masonry gas log fireplace, covered back porch to relax & enjoy nature @your doorstep, metal roof, close to town, Nantahala Gorge, Ocoee River for white water rafting, John C Campbell Folk School, Cherokee Hills Golf Course. 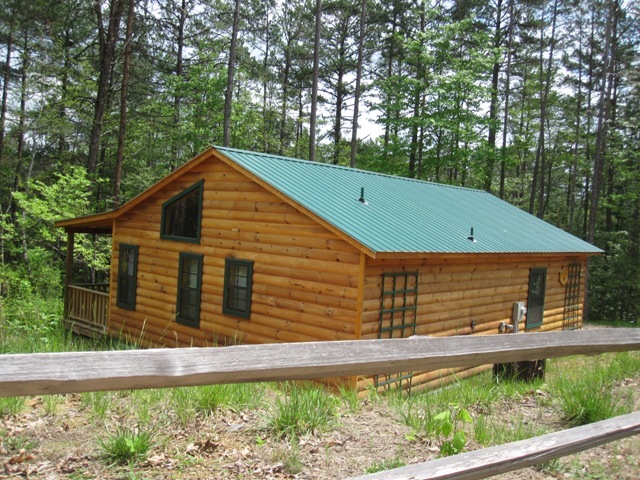 Rustic log sided home would be great for full-time residence or vacation home, furnishings negotiable. If you would like more information, please Contact Kathy Vetten at www.exitmurphy.com or http://www.kathyvetten.com for all your Real Estate needs, Kathy Vetten / Broker-CRS. Call Toll Free # 877-837-2288 – Murphy NC REAL ESTATE TOOLS AND SOLUTIONS -Kathy Vetten Broker / CRS – Exit Realty Mountain View Properties or visit my web site at www.kathyvetten.com. If you would like more information, please Contact Kathy Vetten at www.exitmurphy.com or http://www.kathyvetten.com for all your Real Estate needs, Kathy Vetten / Broker-CRS. Call Toll Free # 877-837-2288 – Murphy NC REAL ESTATE TOOLS AND SOLUTIONS – Kathy Vetten Broker / CRS – Exit Realty Mountain View Properties or visit my web site at www.kathyvetten.com. Brand New Log Sided 2BD/2BA home w/open loft, green metal roof, full covered front porch, mix wood interior & drywall, custom kitchen cabinets, granite counter tops, wood floors, carpet in loft, stack rock gas log fireplace, ceramic tile in bathrooms,1250+ Sq Ft living space, large yard, gated, private mountain community FoxRidge, awesome long range mountain Views. Just Finished. A Must See. Asking $129,000. If you would like more information, please Contact Kathy Vetten at www.exitmurphy.com or www.kathyvetten.com for all your Real Estate needs, Kathy Vetten / Broker-CRS. Call Toll Free # 877-837-2288 – Murphy NC REAL ESTATE TOOLS AND SOLUTIONS -Kathy Vetten Broker / CRS – Exit Realty Mountain View Properties or visit my web site at www.kathyvetten.com. Check out these home and land packages starting at $129,000. Homes are log sided with all wood interior, metal roofs, central heat and air, master bedroom and laundry on main floor and an appliance package. Very private gated community has exceptional mountain views. There are paved roads, underground utilities and community water. 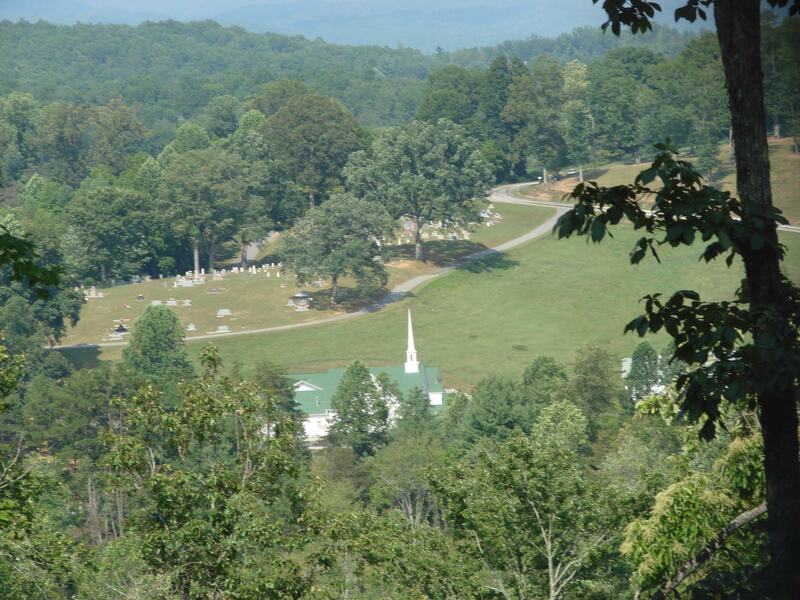 Just 6 plus miles from Lake Hiwassee, 2 miles from Lake Cherokee, 6 miles from Lake Apalachia and near the USFS. Get the boat ready, grab your fishing gear and start living your dream in the mountains of Murphy, North Carolina. Real log home with 2 bedrooms and 2 baths and an open loft. This home features an all wood interior, metal roof and open loft that could be used for a home office or additional bedroom. All appliances are included. There is a great outdoor entertainment area with fire pit. There’s a storage building and plenty of room for parking.